Last summer, in Baltimore, I enjoyed eating “Chesapeake Bay blue crab”—but was that what I actually ate? Why am I suspicious? Before getting crabby about such false advertising (a type of bait-and-switch deception), such crustacean counterfeiting should be verified. How can portunid pretenses be proven? 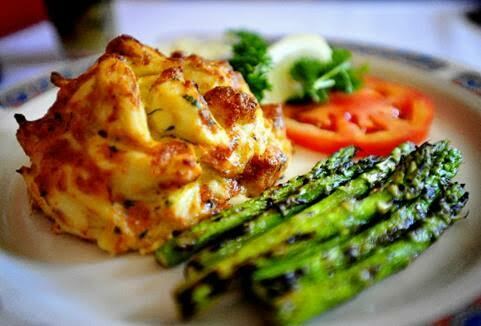 Chesapeake Bay Blue Crab Meal? Many restaurants, buffets, and sushi bars are swimming in similar seafood scams. Piscatorial masquerades include pollock playing cod, icefish as anchovies, tilapia as grouper, rockfish as red snapper. Customers, who eagerly eat what is falsely advertised as “albacore” (or “white tuna”), may experience a digestive insult: the look-alike meat of escolar fish (a/k/a “snake mackerel”) is wax-loaded and promptly produces a blasting vermillion diarrhea. So, buyer, beware seafood mislabeling. Yet there are worse bait-and-switch scams to warily watch out for, such as “creation apologetics” ministry mislabeling. 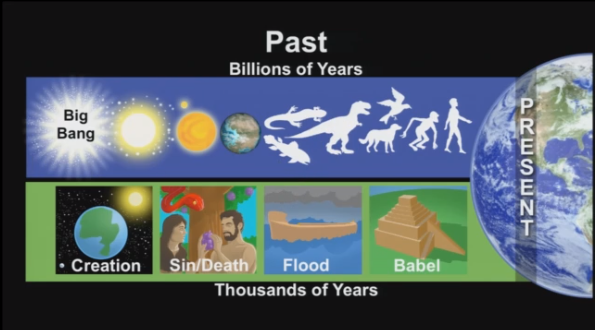 Not all that is called “Biblical” origins science is genuinely true-to-Genesis. Some unfaithful-to-Genesis organizations overtly disclose their “creation-by-evolution” doctrines. However, most do not conspicuously admit it, when compromising the Bible’s record of origins. But you can recognize real messages, of ministries or “experts”, by their compatibility with Genesis. Does the advertised “creation” teaching follow the uniformitarian dogma (and eons of “deep time”) of deists Charles Lyell and James Hutton? Does it incorporate Monsignor Lemaître’s “big bang” theory? Does it promote (or defend) the “natural selection” genes-in-magic sophistry of Charles Darwin and Thomas Huxley? Does it presuppose death before Adam, like Alexander Winchell (or William Dembski), within some kind of pre-Adamite “hominids-morphing-into- humans” scenario? When scrutinizing the true ingredients—crab or shrimp or tunafish—in seafood cuisine, forensic genetics can detect the telltale DNA of the seafood actually sold. However, when scrutinizing whether an “apologetics expert” is truly a Biblical creationist, compare what those “experts” teach, specifically, with what the Scripture teaches (Acts 17:11). (1)Whitney Pipkin, “Nearly 40% of Blue Crab Mislabeled in Chesapeake Area Eateries”, Chesapeake Bay Journal, 25(3):7 (May 2015). 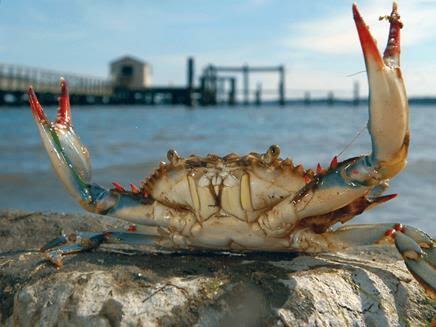 (2)Kimberly Warner, Beth Lowell, et al., “Ocean Reveals Mislabeling of Iconic Chesapeake Blue Crab” (April 2015), 15 pages, posted at http://usa.oceana.org/sites/default/files/crab_testing_report_final_3.27.15.pdf . This entry was posted in Aquatic Life (Shellfish & Finfish, etc. ), Bible, Creation Science, History and tagged Acts 17:11, Big Bang, Chesapeake Bay blue crab, Creation vs Evolution, creation-by-evolution, Creationist, Evolutionist, Genesis, James J. S. Johnson, Mislabel, Natural Selection, Seafood. Bookmark the permalink. ← The Adventure Continues… It is truly out of this world!